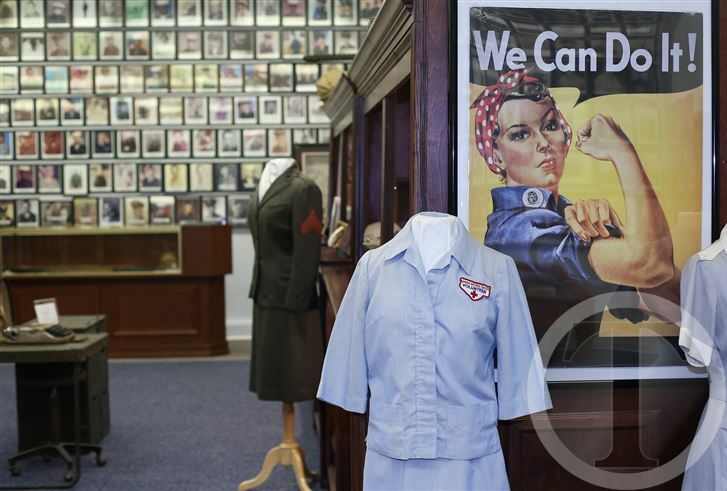 Two Edgecombe county Hall of Fame Inductees were honored recently as The Edgecombe County Veterans’ Military Museum officially returned back home. After about a year-long closure and relocation due to a bat infestation of its building at 106 W. Church St., the all-volunteer facility is back home and officially open. More than 125 people turned out for the ribbon cutting, which featured veterans Lee Hall (2012 TCHOF Inductee), Norfleet Sugg (2011 TCHOF Inductee), Gloria Vaudo and Calvin Anderson.